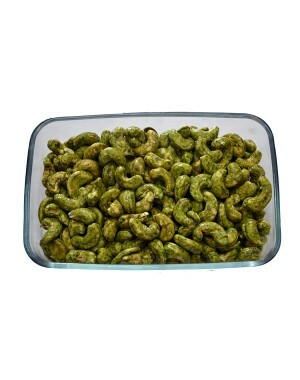 These Cashews are coated with green chilly. 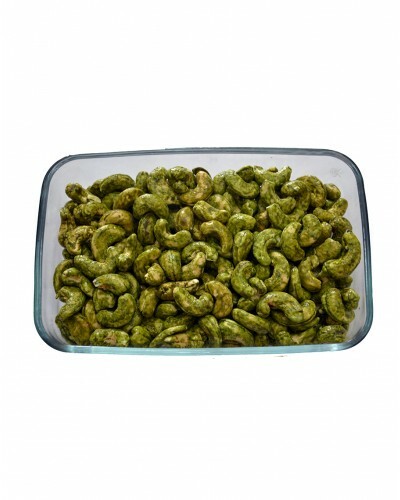 In India, it is used to make various traditional dishes. 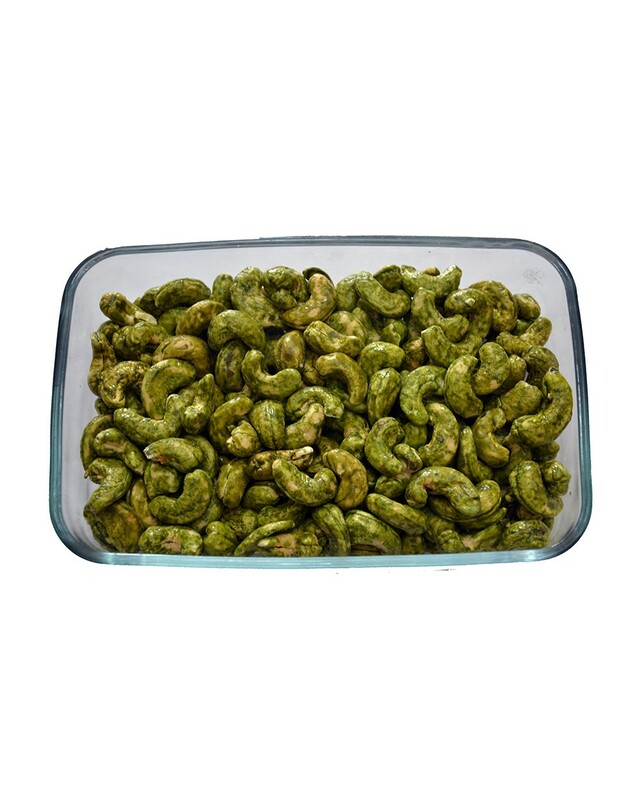 Cashew is a good source of fat, oil, antioxidants and minerals.